The Colorado Buffaloes and the Texas Longhorns will meet on Wednesday in Austin, Texas. 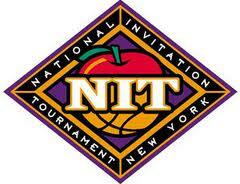 They are playing in the quarterfinals of the Nation’s longest postseason basketball tournament, the NIT. Texas and Colorado were Big 12 rivals from 1996-2010. The Buffs have won both meetings since joining the Pac-12 in 2011. The most was a 68-54 victory Nov. 22, 2016 during the Legends Classic third-place game in Brooklyn. TV: 9 p.m. ET, ESPN2 LINE: Longhorns -5.5; O/U: 138.5. Making the school’s first NIT appearance in 33 years, Texas has defeated South Dakota State (79-73) and Xavier (78-76 in overtime) to reach the Alabama Region final. Coach Shaka Smart’s team is now a win away from the program’s first NIT semifinal berth since 1978. The Longhorns went on to capture the crown. Colorado is in the NIT for the third time in nine seasons. They have downed Dayton (78-73) along with Norfolk State (76-60) in the first two rounds. Coach Tad Boyle’s Buffs are seeking the program’s fifth berth to the Big Apple semifinals. It would be their first since 2011. Their one and only championship was won way back in the NIT’s third season in 1940. Texas is 14-6 at home this season while Colorado is 5-8 in true road contests. Colorado is 23-12 on the season and feel they should have made the NCAA Tournament. A Win tonight over a good Texas team may prove that. The Buffs took a 43-23 lead into the half against Norfolk State Monday. They cruised to the win on the strength of 50% shooting. They also took advantage of dominating at the free-throw line (16-10) and on the glass (42-37). Emerging forward Evan Battey notched his first career double-double with 12 points and 10 rebounds. Tyler Bey just missed his eighth in double in his last 10 games with a game-high 17 points and nine boards. The 6-7 Bey is averaging a team-best 13.4 points and 9.8 boards. He is a key reason why Colorado ranks in the nation’s top 20 in rebound margin at plus-6.5. Texas is 18-16 on the season and showing it’s strength of schedule prepared them or postseason battle. It is guard Kerwin Roach II’s last go-round with the Longhorns, and he leads the team in scoring t 14.8 points per game. He is also averaging 3.1 assists and 4.4 rebounds. Roach came through Sunday with his best game in more than a month. He scored a team-high 21 points while contributing eight rebounds and six assists in the overtime win versus Xavier. Forward Dylan Osetkowski is chipping in 10.7 ppg and a team-leading 7.1 rebounds. Texas has connected on 26-of-61 from 3-point range in its two NIT wins.